Iconic institutions and movements come alive at SPANDAN 2016! 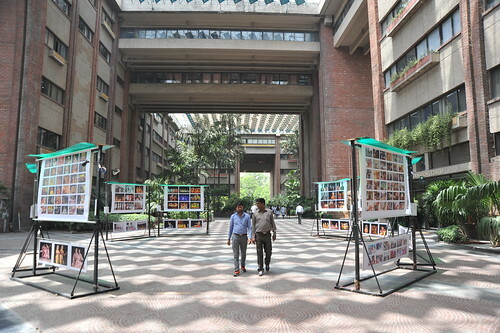 If you are interested in performing arts, especially dance, and if you have not been to the exhibition currently underway in the open spaces of IHC, Lodhi Road, then you are missing something! You cannot afford to give this exhibition a go by. It inspires even the uninitiated. 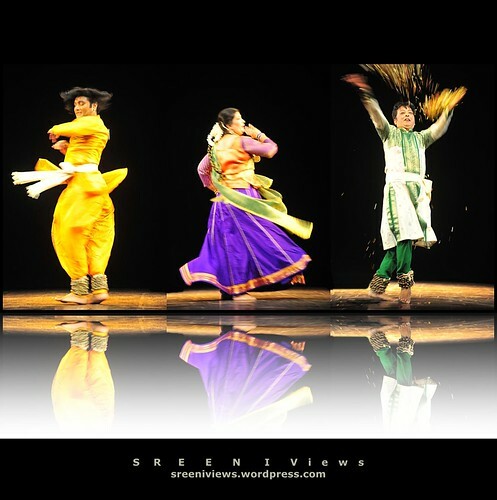 SPANDAN Festival of Performing Arts 2016 brings yet again an eclectic collection of fabulous captures of Indian classical dance forms, but with a difference. 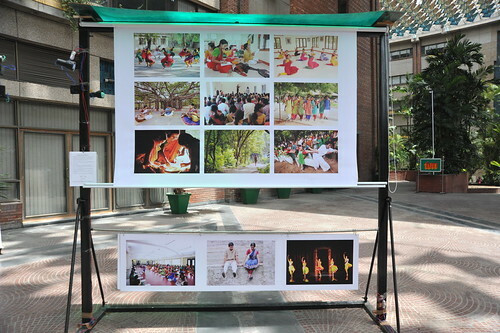 The theme of this year’s exhibition is, “Tribute to Iconic Institutions, Movements and Legendary Gurus”. You get a peek into the journey of the iconic institutions and the life within. Many photographs have been displayed publicly for the first time ever in the history of these institutions. R. Sreenivasan, the creator of the festival, which is into its fourth edition, too is one of a kind. How many technologists and alumnus of IIM and that too, a well known entrepreneur, do you come across excelling in the world of arts? Sreeni, a co-founder of CL Educate, while being busy in the corporate board rooms as well as traveling around the country motivating the youth in the universities, feeds his soul in the spaces of performing arts in the evenings. 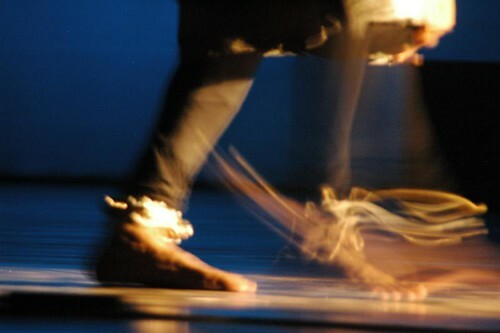 He is an accomplished photographer of dance apart from being a dancer, painter and designer. Every institution comes alive in the exhibition, with a vibrancy that these photographs have managed to capture. It is a treat to the soul. Also the exhibition pays tribute to the movement of SPICMACAY for its yeoman service with panels of nation’s stalwarts of Music, Dance, Theatre, Puppetry, Folk etc and the volunteers who contribute to keep the flame of culture alive. The frames portray the spirit of facilitating the children to discover the mysticism embedded within every art form. As tribute to Legends, special issues Nartanam on Dr. Kapila Vatsyayan, Dr. Padma Subrahmaniam and Sri Avinash Pasricha will be released on May 2nd, 7 pm at Amaltas Hall, India Habitat Centre, by Prof. Lokesh Chandra, scholar and President ICCR. Noted danseuse Rama Vaidyanathan with her Bharatanatyam pays tributes to the legends. 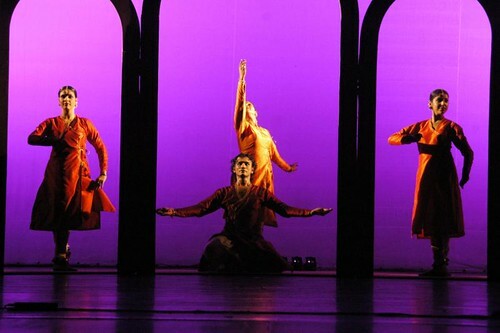 The festival culminates with an evening of World Dance on May 26th in Stein Auditorium. While the exhibition is all about celebrating the icons and legends, the dance evening is about celebrating the future. The evening will feature brilliant young Odissi danseuse Arushi Mudgal, promising young male Bharatanatyam dancer Suhail Bhan, a talented Manipuri duo and a mélange of modern world dance forms all performed by young upcoming dancers. The exhibition is on till May 10th. You can catch up with Sreeni at the venue. A photo by Vasu.. on Flickr. 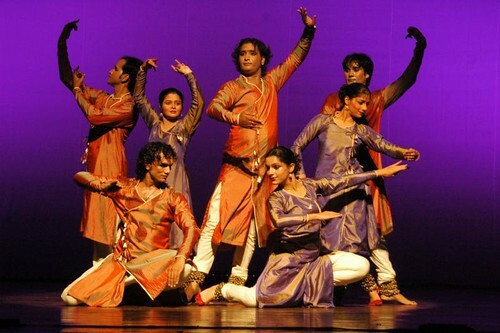 The annual Kathak Mahotsav showcases the talented and budding artists, the emerging ones and also the accomplished. This photo has the accomplished ones winding up on the last day of the performance. For more of these photos visit the Flickr series by clicking on the photo. Brilliant Birju’s compositions and choreographies. Wah Maharaj!! To say the least, the compositions and choreography has been brilliant!! There were four compositions…Kramashaha by Kishanmaharaj(sequence),and the rest of them – Naada (sounds of various percussion instruments), Ghunghroo (notes of music sa, re, ga, ma, pa, da, ni) and finally ‘Anamya’ all by Birju Maharaj. 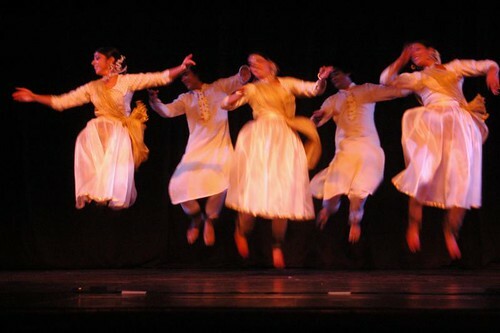 Kramashah was good in costumes and choreography with those flowing pristine whites, the five dancers (three ladies and two gents..) moved in a sequence and also created patterns with the movements and rythm. The piece warmed the audience up for the next two pieces. Ghungroo...the dance of the notes! The last piece was an evocative one – steel is used in making a sword as well as a bell in a temple. The composition captures the trials and tribulations of the sword and its yearning to be a bell in the temple…. Naada and Ghungroo certainly captured my imagination….and have given a lot of fodder for me to think. It was compellingly lateral in thinking… Wah Maharaj Wah ! !